Bakarwadi's are thinner and bigger in shape. It is the most loved snack of Maharashtra. It is fried rolls stuffed with spices and condiments. 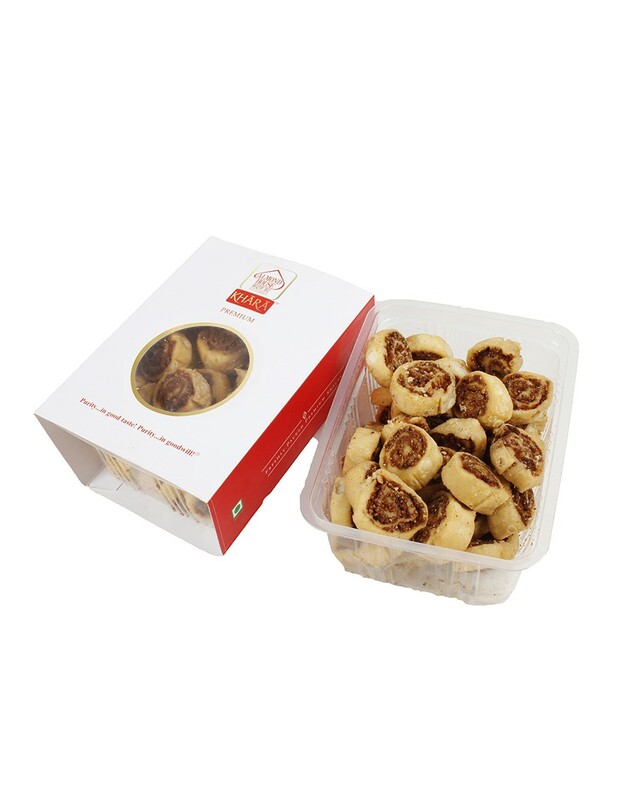 Made of wheat flour and crispy on the exterior, this snack has a spicy filling with just the right hint of sweet and spiciness. When you crunch into a Bhakarwadi, you first get the hint of sweetness but that is quickly overcome by the spicy masala taste. Almond house in Hyderabad Telangana provide you this Bhakarwadi namkeen.